LOCAL PEOPLE WORKING FOR LOCAL PEOPLE. 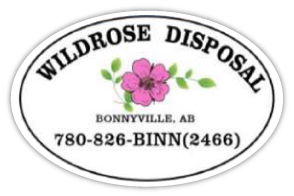 At Wildrose Disposal, we’re committed to customer satisfaction, which is why we offer dependable service and great quality on waste collection and dumpster rental in Bonnyville with no contracts and no hidden fees. We’re local people working for local people, so our customers are our neighbours! The following are reviews provided by our customers. If you’d like to share your own story, we’d love to hear it. If you have not yet taken advantage of our services, give us a call. We’re your local garbage guys, offering great pricing, quality and service.